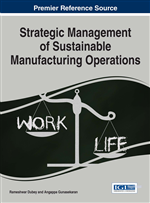 The purpose of this paper is to develop an understanding of employee's retention in manufacturing organizations. The factors identified for the study are work culture, training, compensation, motivation of employee's for their profession, and employee's personality factors which are mediating through job satisfaction of employees. The study established statistically significant relationship between the factors and employee's retention with mediation effect of job satisfaction. Results revealed the importance of job satisfaction as a mediator in predicting employee's retention in manufacturing industry. To define factors that leads to executive level employee’s retention in manufacturing organizations in India. To develop and statistically validate a research model showing relationship between the factors that leads to employee’s retention in manufacturing organizations in India. The literature review is further divided into two stages namely planning the review and conducting review which is duly presented in subsequent section. In our present study we want to investigate the impact of work culture, training and development, compensation, motivation for profession, and personality factors on employee’s retention under the mediating effect of employee’s job satisfaction. The literature review is an integral component of any scientific works. To begin with this section, we first identified reputable journals in the field of Talent Management such as Human Resource Management Review, The Social Science Journal, The Industrial and Commercial Training, The TQM Magazine, Journal of Managerial Psychology, Journal of Applied Psychology, Strategic HR Review, Strategic Management Journal, Human Resource Planning, Journal of Management, Harvard Business Review, Human Resource Planning, Compensation and Benefits Management, Journal of Management, International Journal of Humanities and Social Science, International Journal of Social Science and Interdisciplinary Research and other related journals. We used key words like Talent Management, Employee Retention, Executive Employee Retention, Manufacturing Organizations, Job Satisfaction, Work Culture, Training and Development, Employee Compensation, Motivation in manufacturing organizations, Personality factors of executives. In this way, we identified over 100 articles published in mentioned journals. We decided initially to review published literatures. In order to eliminate our biasness towards any work, we reviewed all possible articles published in past twenty years in all mentioned journals related to talent management, employee retention, employee job satisfaction and its related concepts so that we do not end up with sketchy literature.